If consumers pay their insurance premiums, they deserve to have their vehicle repaired to its pre-loss condition to the very best of human ability! These repairers also believe: If consumers pay their insurance premiums, they deserve to have their vehicle repaired to its pre-loss condition to the very best of human ability! CollisionFix is also here to give these best in class body shops a voice against the practice of insurance companies steering consumers into unsafe and devaluing repairs! Quality repairers believe insurers have no right to tell body shops to use cheap parts and unsafe repair practices in the name of cutting costs! 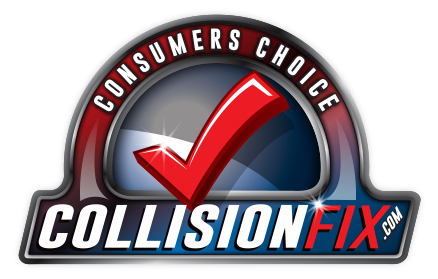 At CollisionFix, YOU ARE OUR CUSTOMER and we Care About You, Your Family’s Safety and your car not losing value! “Pre-Loss Condition” simply means to use parts that are equal to the vehicle’s original parts in fit, finish and function. This applies to trim, body panels, bumper, mechanical components and most important… to the inner frame-structure and crash zones. It also applies to the paint used, how it is applied, final color match and overall appearance. There are many imitation and off-shore parts manufactures. These parts are all to often made of low quality, thin material. The push by large insurers or the big body shop chains to cut cost has allowed much of these substandard parts to infiltrate into the system of collision repair. By using a CollisionFix Quality Repair center you can be assured your vehicle would not fall victim to their use. Our group of dedicated quality oriented shop owners have all committed to recommending the use of original quality replacement parts. Each member of the CollisionFix network is committed to providing the highest level of quality and service and have refused to associate themselves with the use of inferior-substandard parts, materials and shabby repair practices. 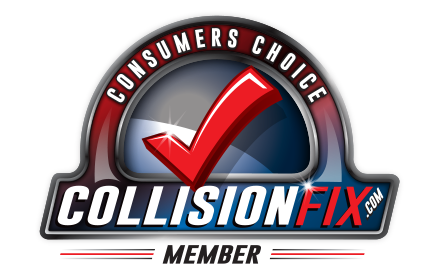 Each CollisionFix member is devoted to improving the auto-body repair industry and doing their part to safeguard the personal safety and economic wellbeing of their customers. CollisonFix IS … Local People Serving Local people!